The boys of Seconds To Juliet are back and we have them with today's stop on Abby and the Cute One's Blog Tour. We share our review and hope you enter the giveaway. Happy reading! Every member of Seconds to Juliet has a girlfriend—except for Nathan Strong. Now the band's manager is leaning hard on "The Cute One" to play the role of the band's heartthrob. With the band's sales in decline, it's up to Nathan to keep the fans' fantasy alive. The plan is to stage a fake relationship and a fake breakup, and then let the fans fight to be the one to mend Nathan's broken heart. Just one problem. There's another girl in the picture–one Nathan can't stay away from. In private, Nathan's stealing kisses with the band's new opening act, Abby Curtis. If they're caught, no one wins. Abby will be fired, and the band might not recover the success they need to survive. But even with the pressure mounting, Nathan and Abby can't stop themselves from stealing one more touch, one more kiss. And it's only a matter of time before it all falls apart. Cover comment: Adorable! My favorite out of the five and I like them all. 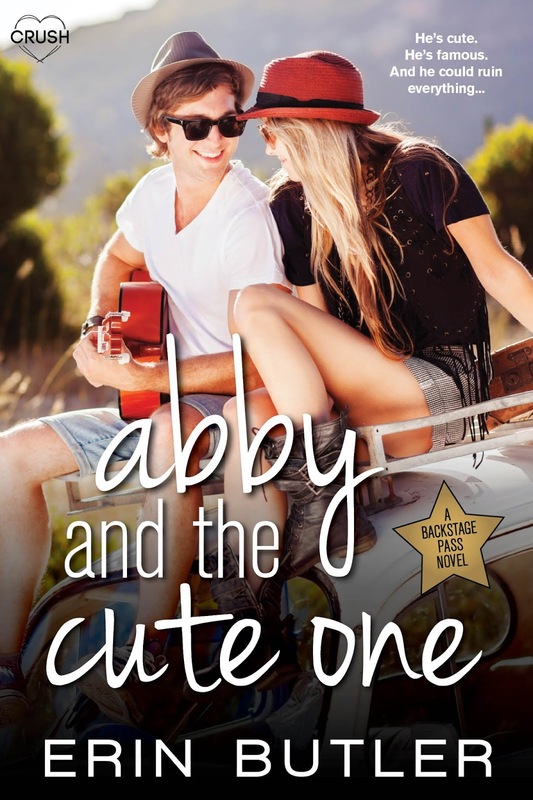 I've enjoyed my time spent with the guys of Seconds To Juliet and their various love stories so it was sad when I began reading the fifth and final book in the Backstage Pass series, Abby and the Cute One by Erin Butler. It's great to see that the guys have found true love with their wonderful girlfriends. This is Nathan's story and in the beginning we're immediately feeling for Nathan and the predicament he's forced into as the sole single guy of S2J. Their manager says they need to keep the fans happy and interested (interest+$$) so Nathan has to date. A lot. He goes along with it until he meets Abby, a girl he's actually interested in. She's a fellow musician and there's this natural spark, an instant rapport, between them. But when duty calls, Nathan knows he can't pursue her and when Abby lands the gig of opening act for S2J the job comes with a few warnings, one being no fraternizing with the boys in the band. Nathan and Abby are super sweet together and I found myself rooting for them. The guys of S2J already know about conflict in the romance department so Nathan and Abby get some much needed assistance. Abby and the Cute One is a sweet, smile-inducing romance. Readers will get the 'feels' from this one and race through the pages in search of a HEA for this awesome couple. It's sad to say goodbye but Ms. Butler gave the S2J boys the proper send-off they deserved. 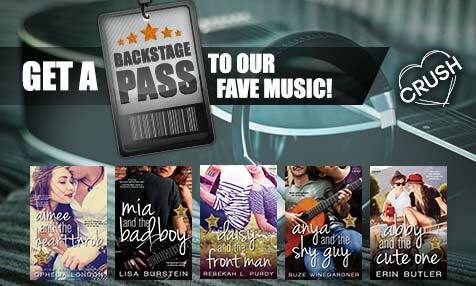 If you enjoy sweet YA romances with hot musicians and confident girls, Backstage Pass is recommended reading. Choice of Backstage Pass Swag Pack or $25 Amazon gift card. My favorite is Maroon 5.